The Vietnamese restaurant Pho Lucky, with locations in Redford Township, Novi, and Southfield, will expand with the opening of a restaurant in Detroit’s Midtown district on Monday. 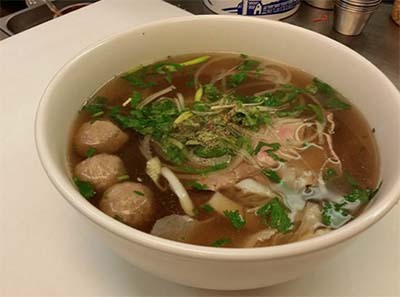 Pho Lucky, located at 3111 Woodward Ave. and Charlotte Street, features pho (pronounced fuh), a Vietnamese dish made by simmering a flavorful broth for eight hours. The broth is served with noodles, beef, basil, cilantro, green onion, lime juice, and bean sprouts. The restaurant will also serve summer rolls, spring rolls, and a variety of rice plates and vermicelli (noodle) bowls. Later this month, Pho Lucky will have its liquor license and will be able to offer beer, wine, and other alcoholic beverages to customers. Pho Lucky first opened in Redford Township in 2012, and since expanded to Novi and most recently Southfield.